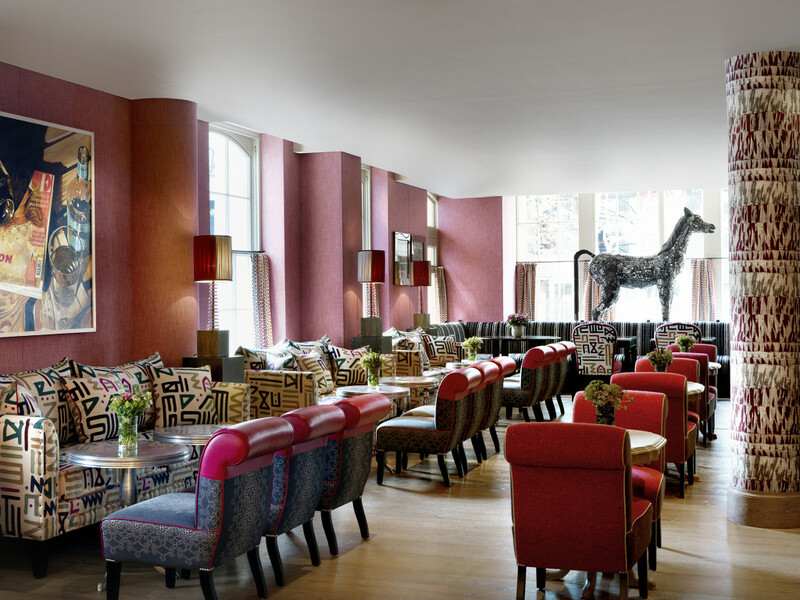 Go wild in the heart of London’s theatre district. 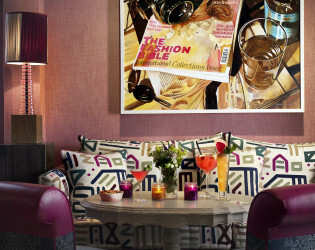 Surrounded by the lovely city’s best restaurants and bars, there’s not a dull moment to be had at this hotel known for its modern elegance. 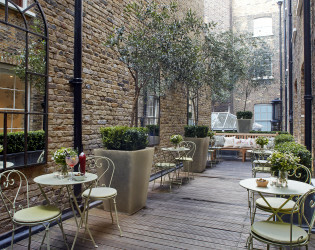 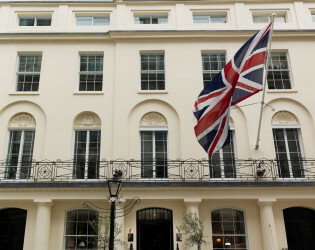 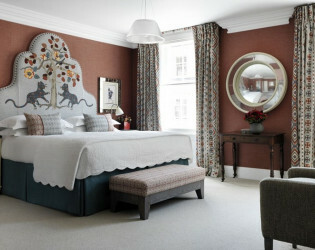 Haymarket Hotel is situated on the corner of Haymarket and Suffolk Place in the heart of London's theatre district. Each of the 50 bedrooms and suites at Haymarket Hotel are equipped with all the facilities expected of a deluxe hotel including WiFi, flat screen TV's and iPod docking stations. 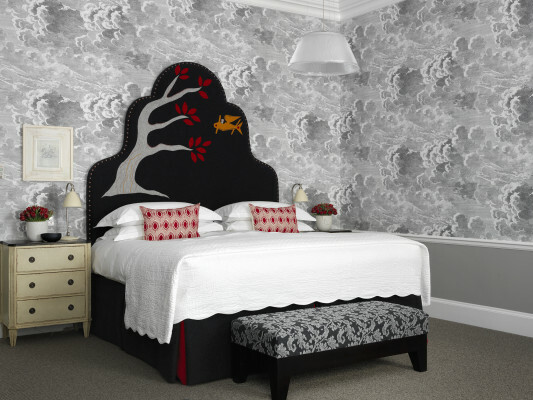 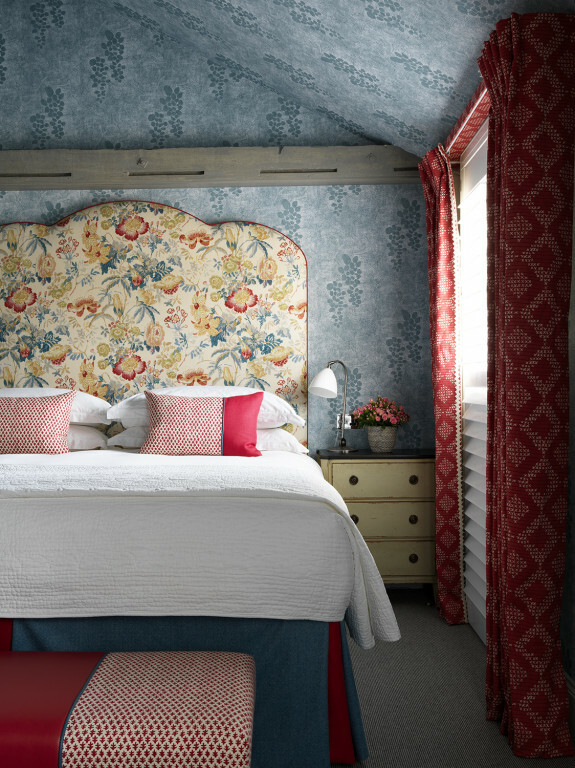 All rooms have been designed in an individual style by design director and owner Kit Kemp in her fresh, modern English style. 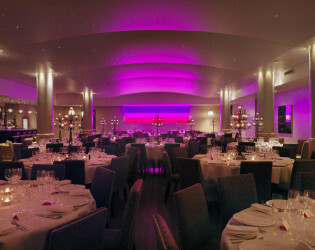 Haymarket Hotel is situated on the corner of Haymarket and Suffolk Place in the heart of London's theatre district. 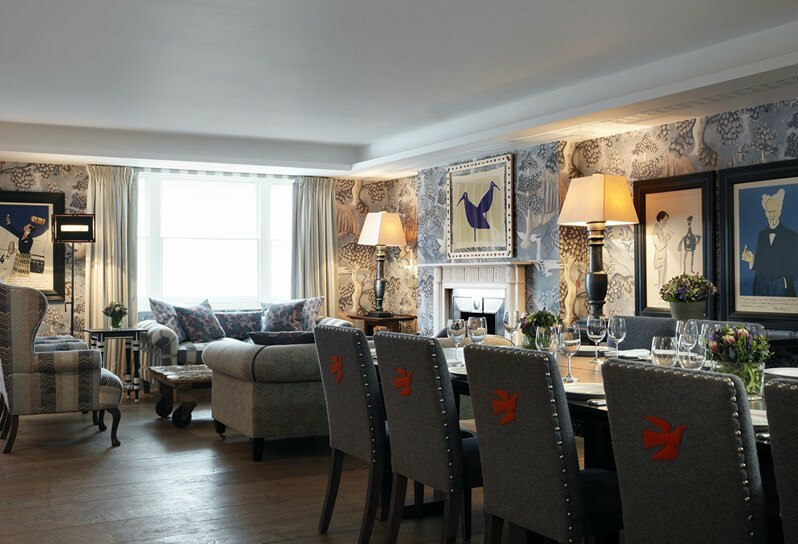 The hotel comprises 50 individually designed bedrooms and suites, an exclusive 2-5 bedroom townhouse, Brumus bar and restaurant, a conservatory and library plus a spectacular 18 metre swimming pool complete with its own bar and lounge. 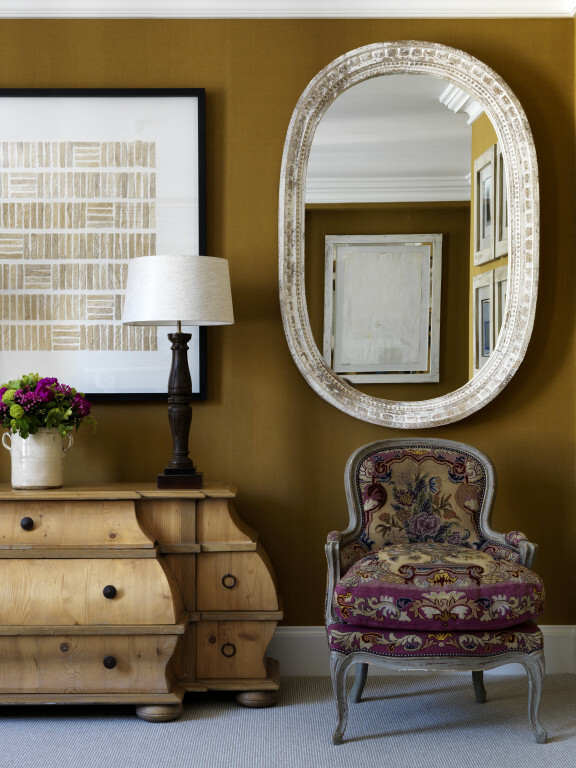 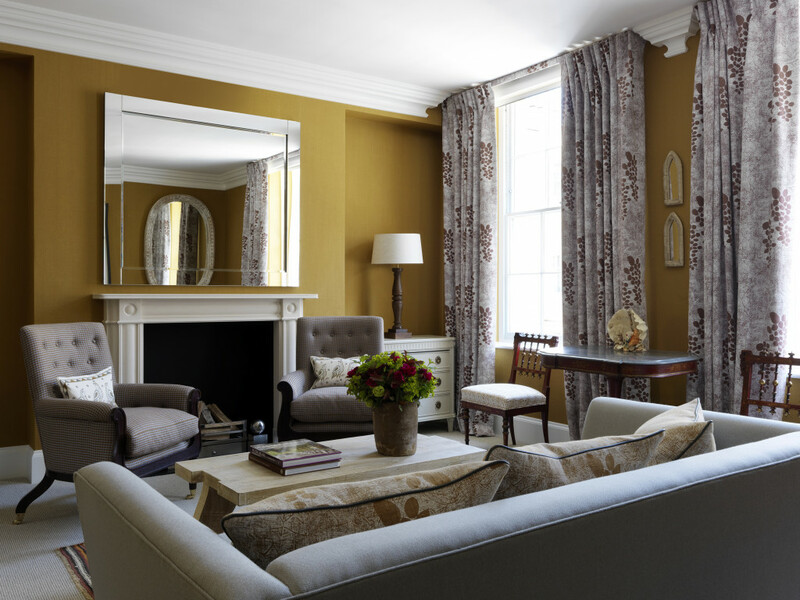 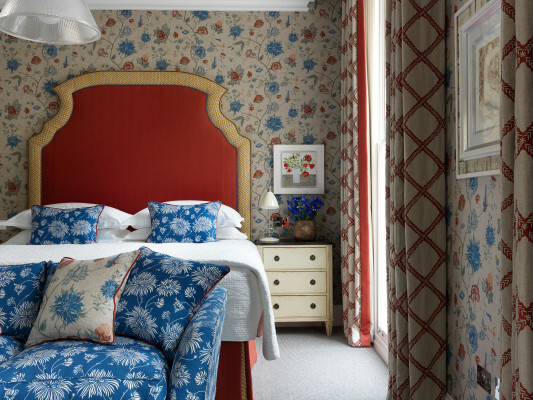 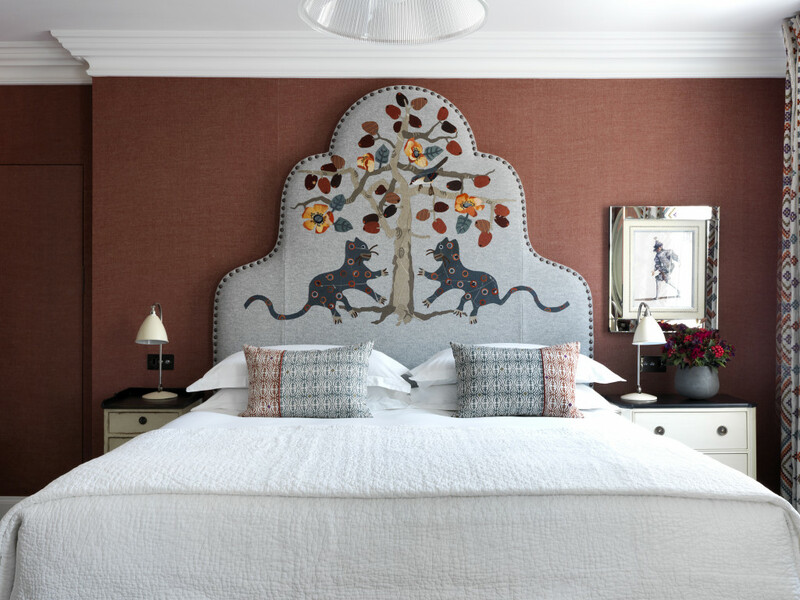 The interiors have been designed by Firmdale Hotels owner and designer Kit Kemp, fusing contemporary and classical references in an ultra-central London location. 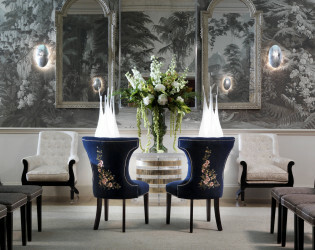 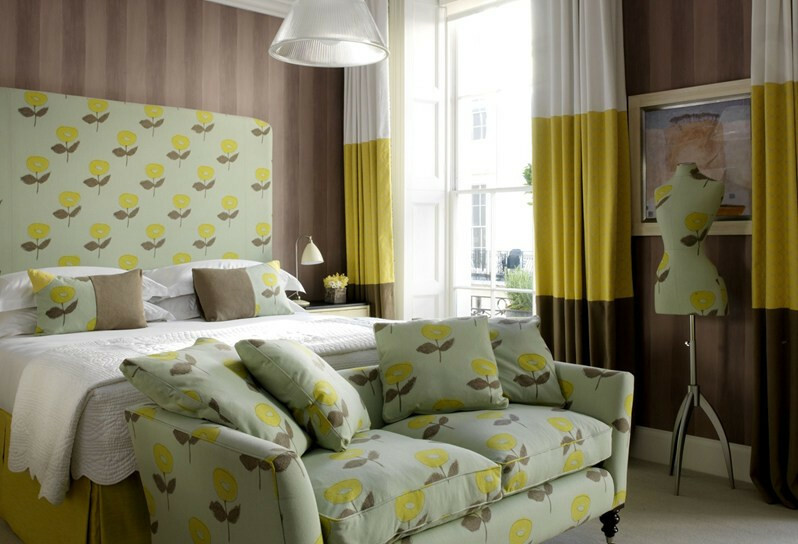 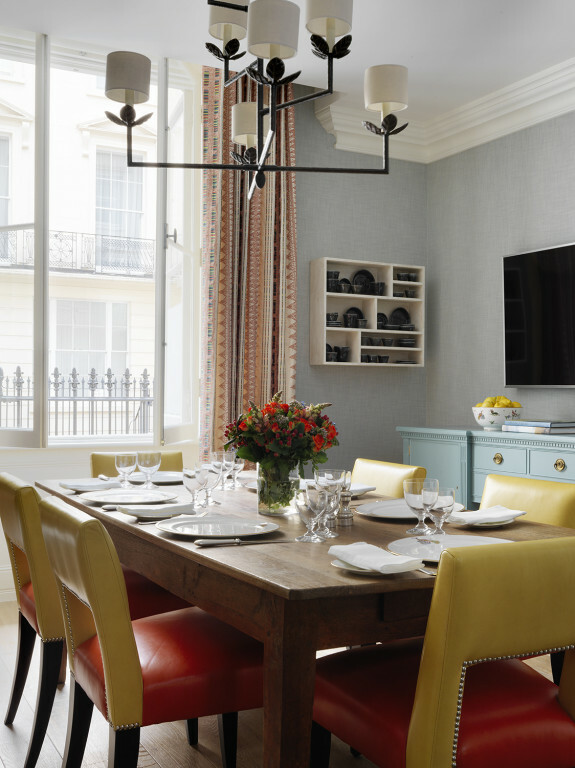 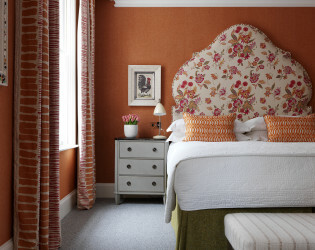 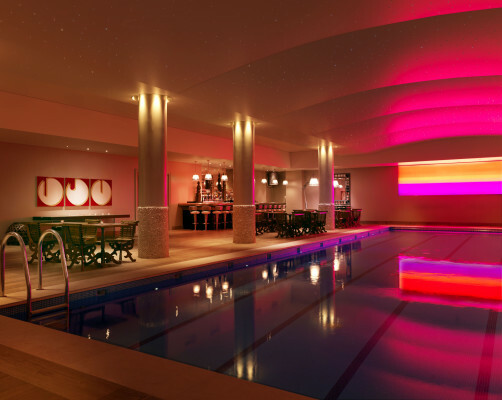 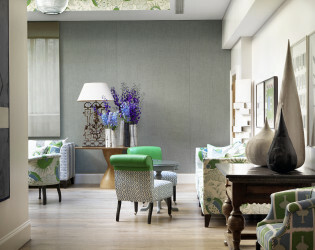 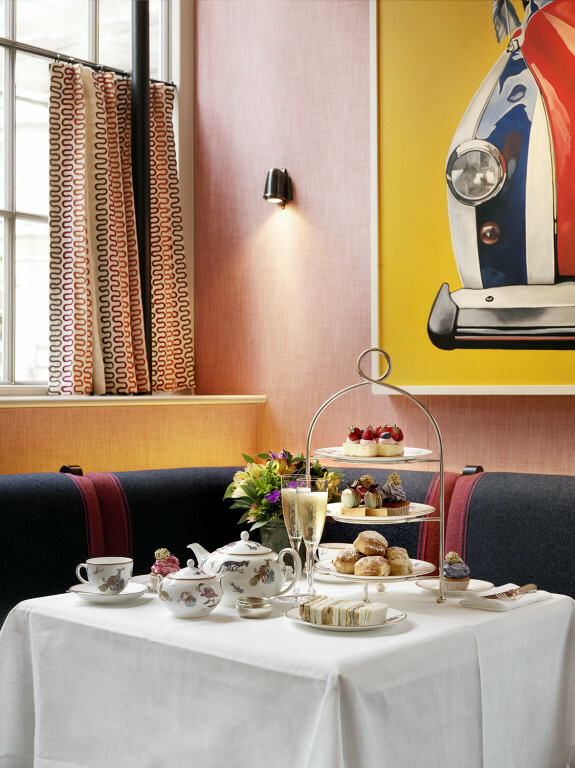 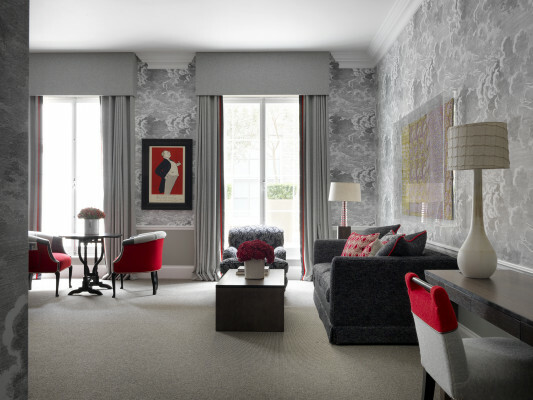 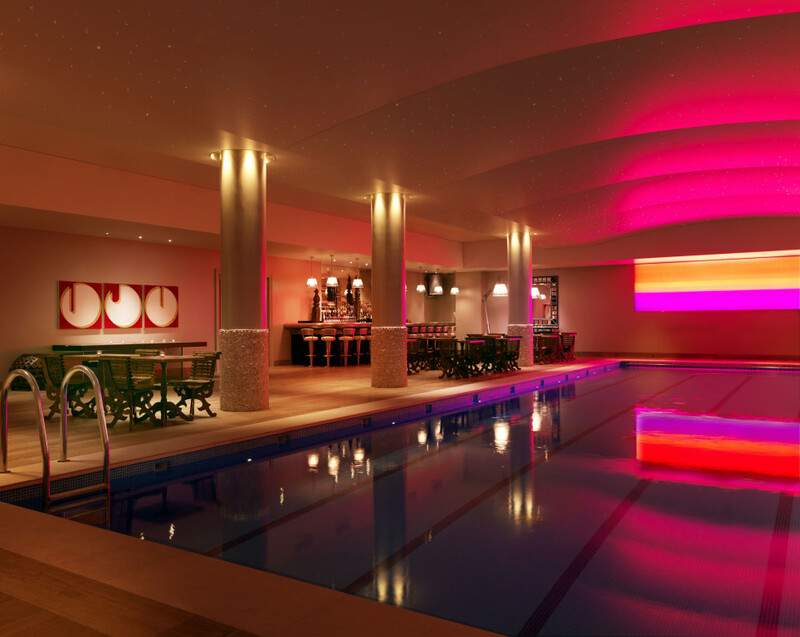 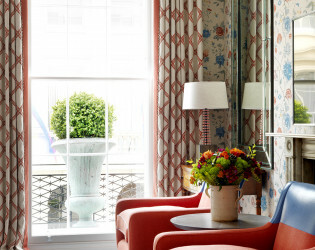 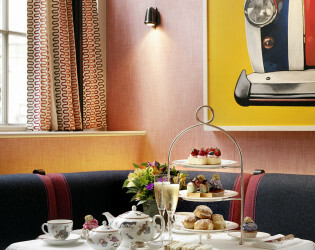 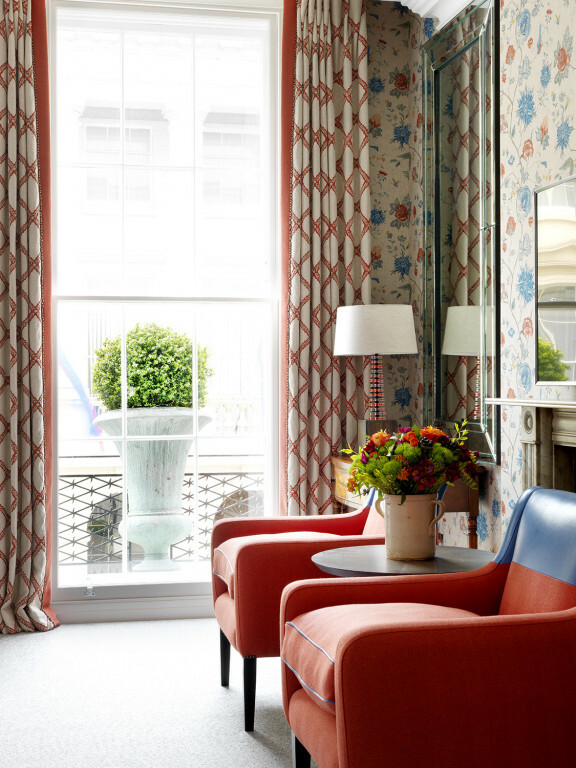 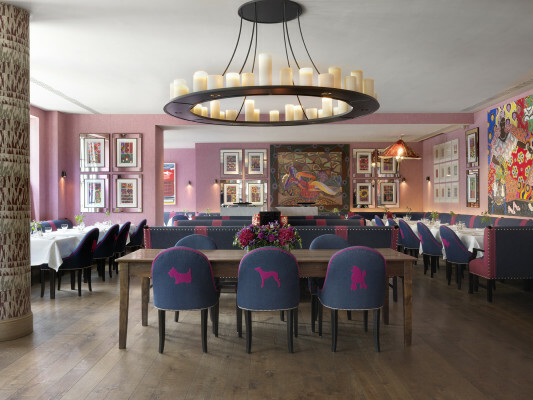 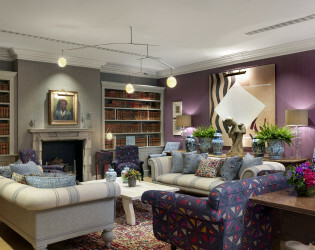 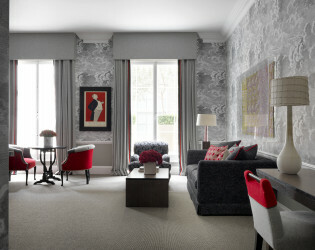 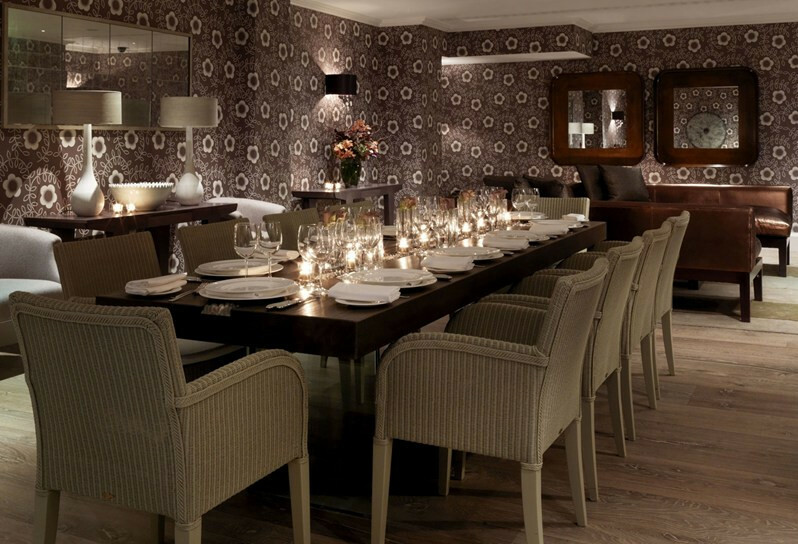 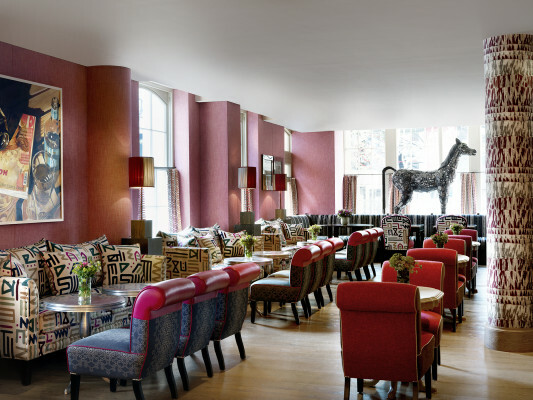 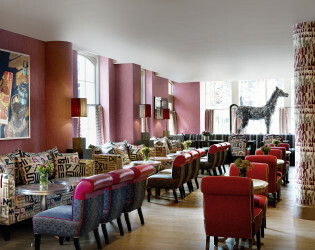 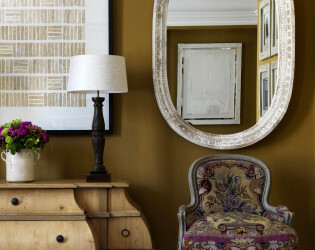 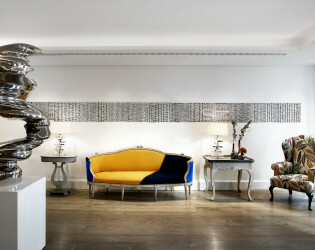 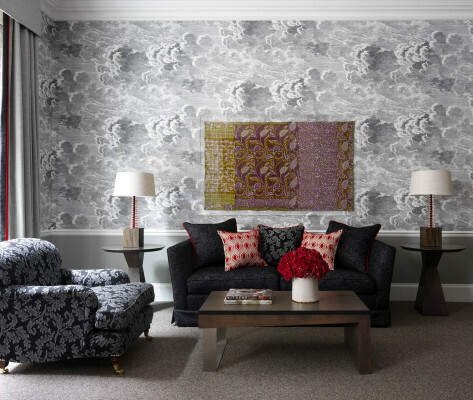 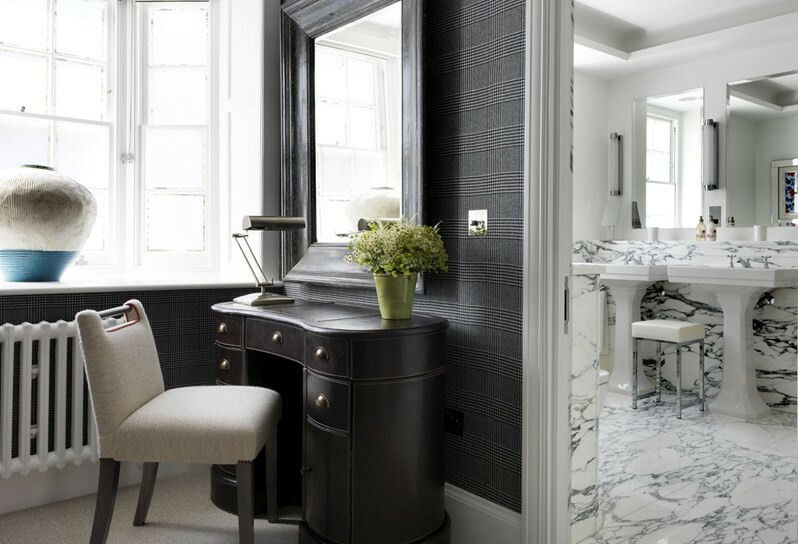 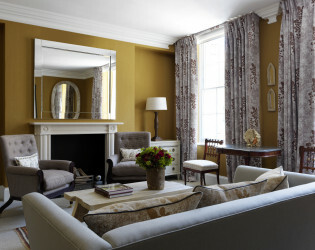 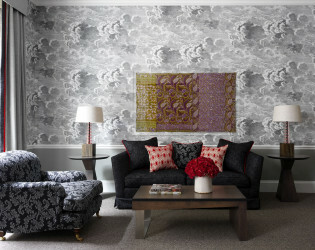 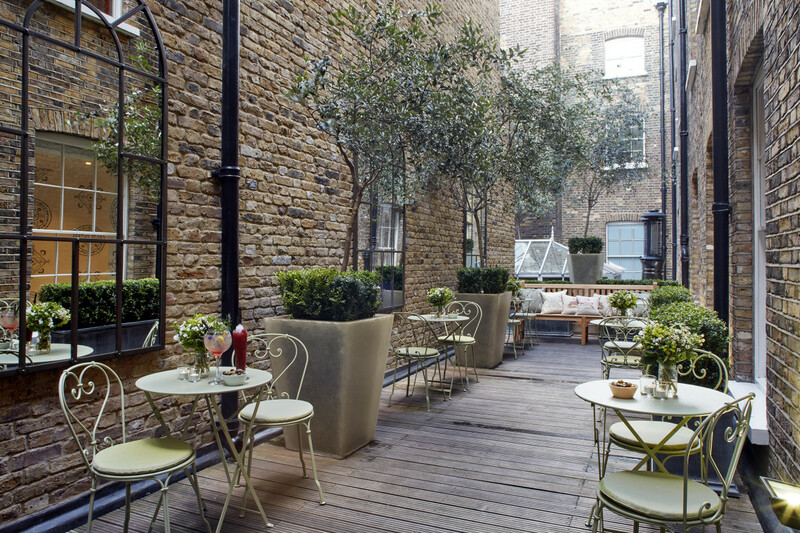 The interior of the Haymarket Hotel has been designed by Kit Kemp, owner and Design Director of Firmdale Hotels. 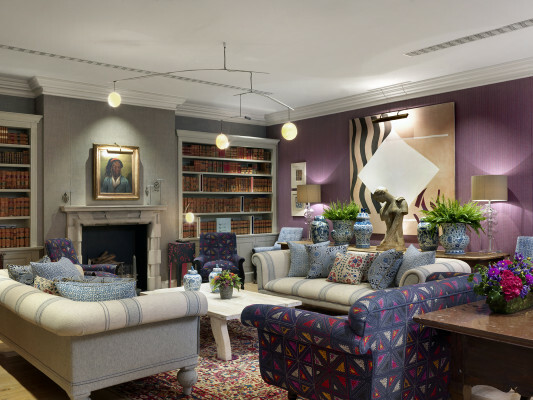 The interiors are a remarkable combination that honours the building’s noble lineage whilst updating it with a contemporary English point of view. 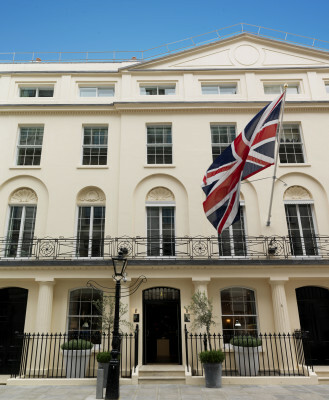 Kit Kemp has fused modern and classical references in this landmark building which was designed by the legendary John Nash, the master architect who developed most of Regency London, including Buckingham Palace, Trafalgar Square and the adjoining Haymarket Theatre Royal. 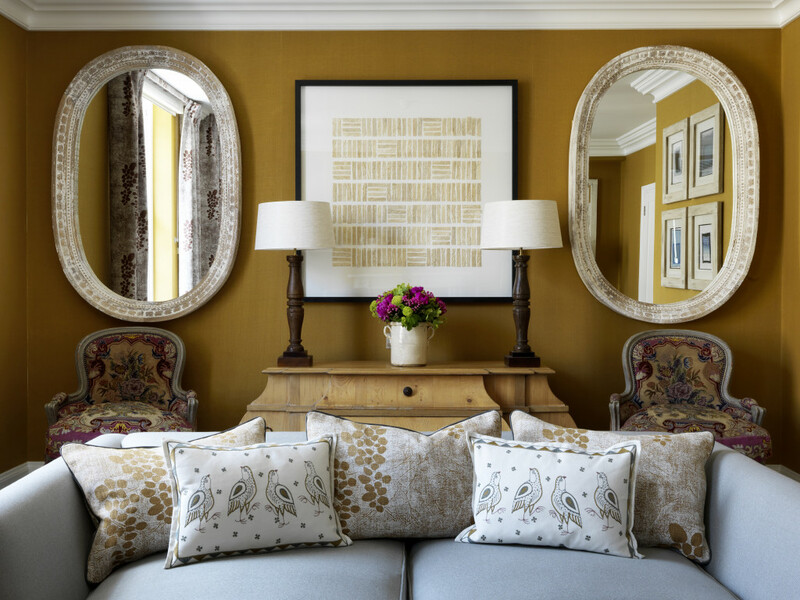 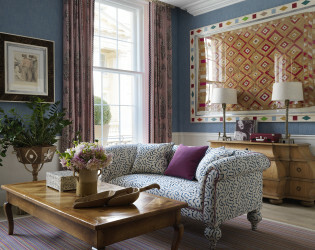 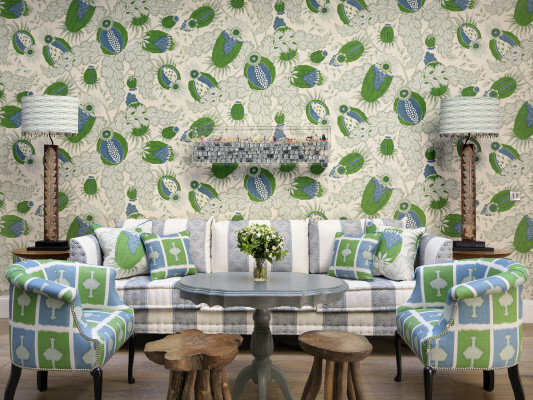 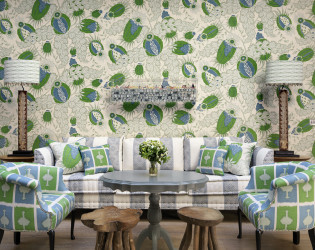 Kit Kemp’s extraordinary attention to detail is evident everywhere. 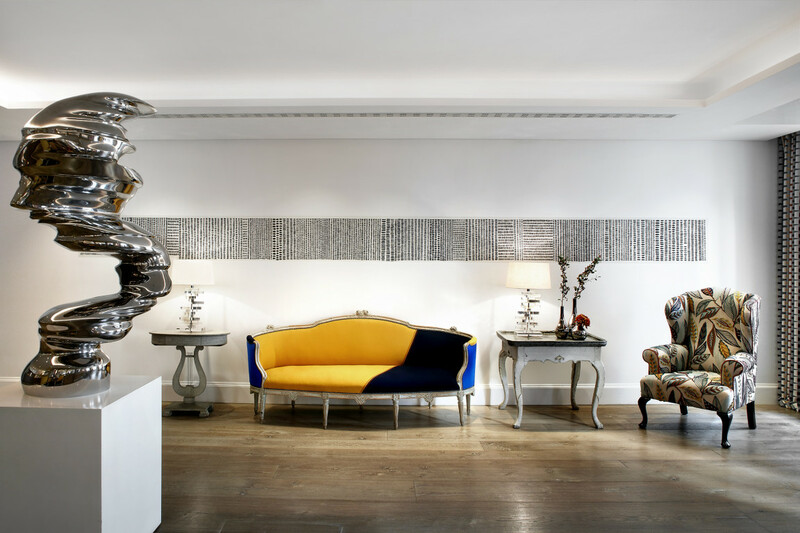 The lobby is a clean airy space featuring a stainless steel sculpture by Tony Cragg and large black and white paintings of the London skyline by John Virtue. 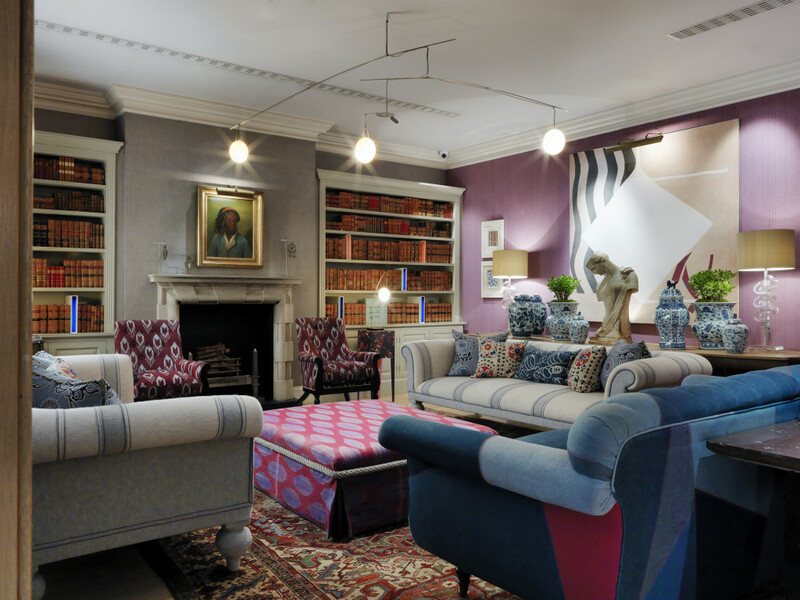 The conservatory and library have their own particular style with handpicked antiques and objects as well as original paintings by modern artists as diverse as Sandra Blow and Paul Winstanely. 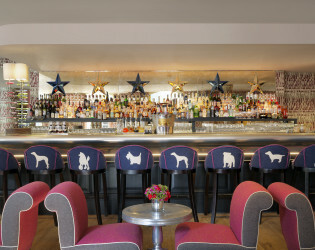 The Shooting Gallery is a highlight. 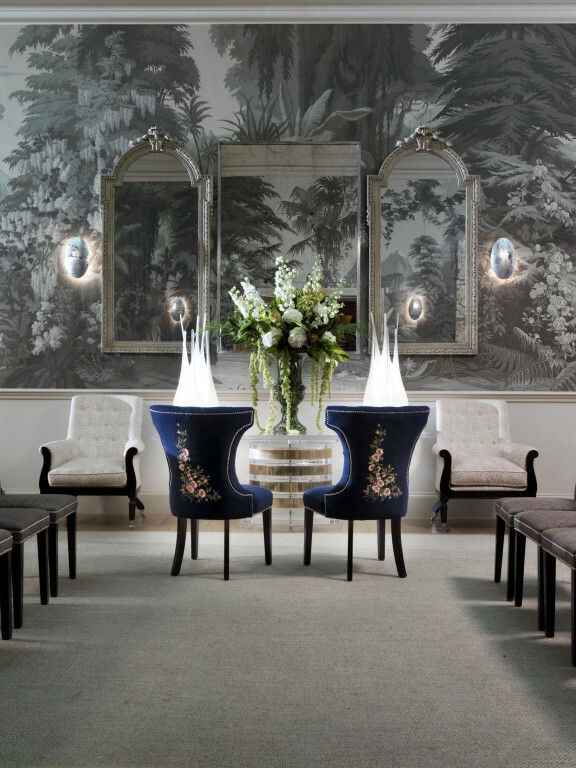 This vast space is 60 feet (18m) in length with 18 foot (5m) ceilings and walls covered in a dramatic de Gournay wallpaper featuring jungle landscapes in grey sepia tones. 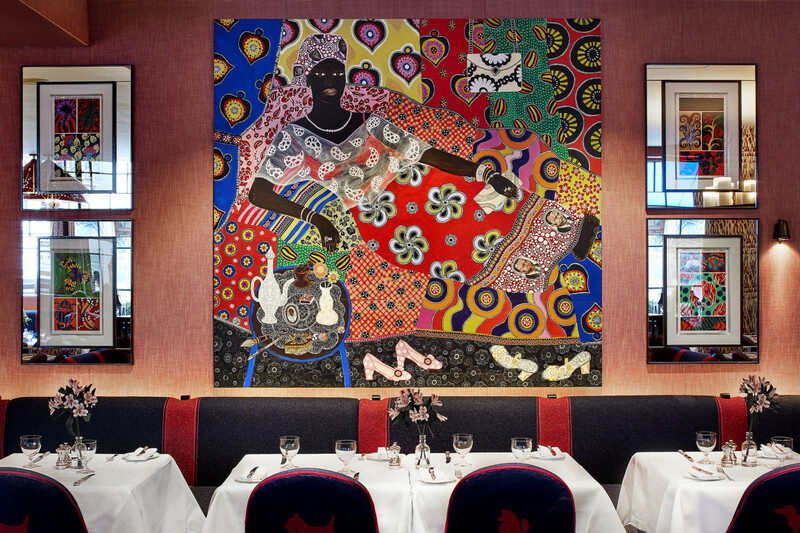 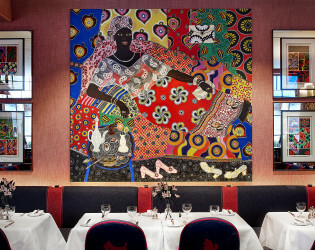 It is furnished with an eclectic collection of furniture including 70’s lucite tables and lamps and pictures by Oliver Messel illustrating his costume designs for a production of Antony and Cleopatra. 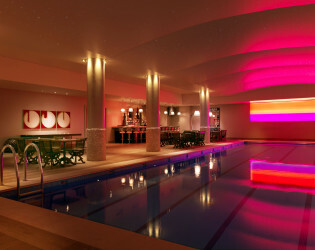 Downstairs, the pool area is more bar than spa. 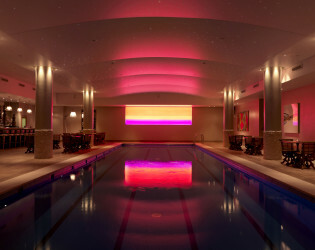 This enormous space is all about the sleek 55 foot (18m) swimming pool which is edged in stone, surrounded by acres of grey oak and has a ceiling covered in hundreds of fibre-optic lights. 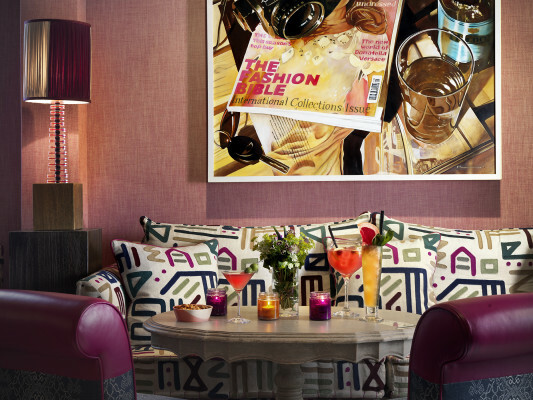 There is a pewter bar and a spectacular lighting scheme that uses strong contrasts of light and shadow and an ever-changing colourful light installation by Martin Richman. 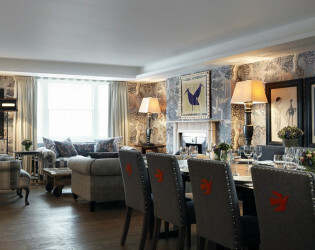 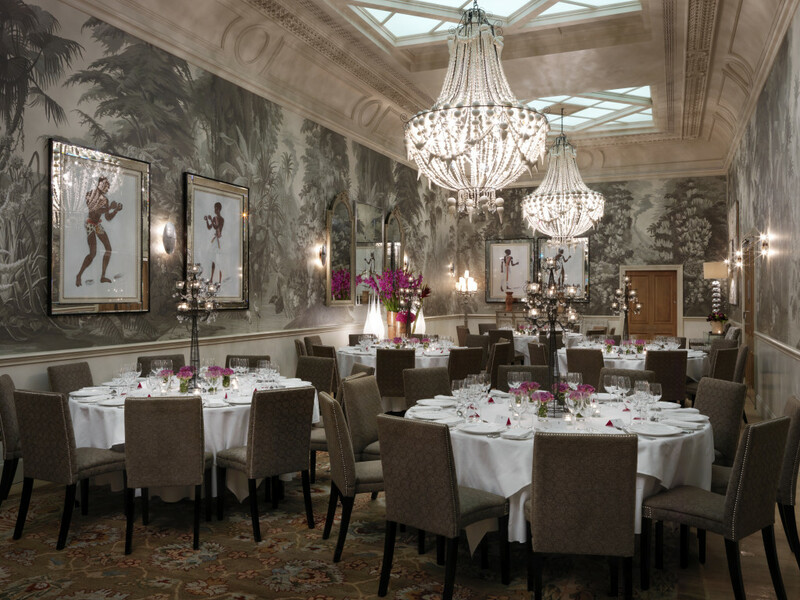 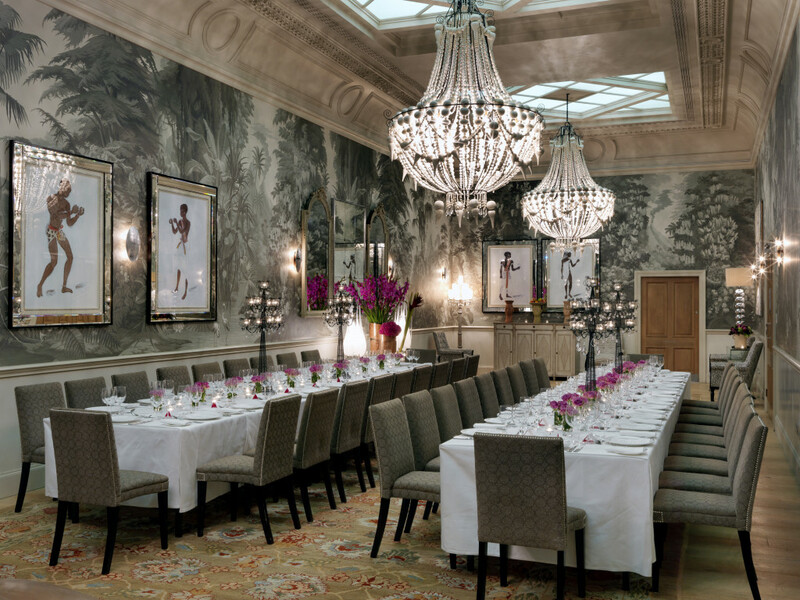 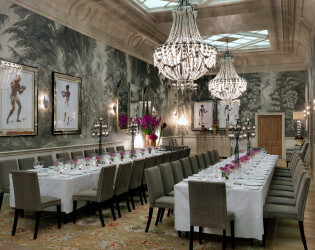 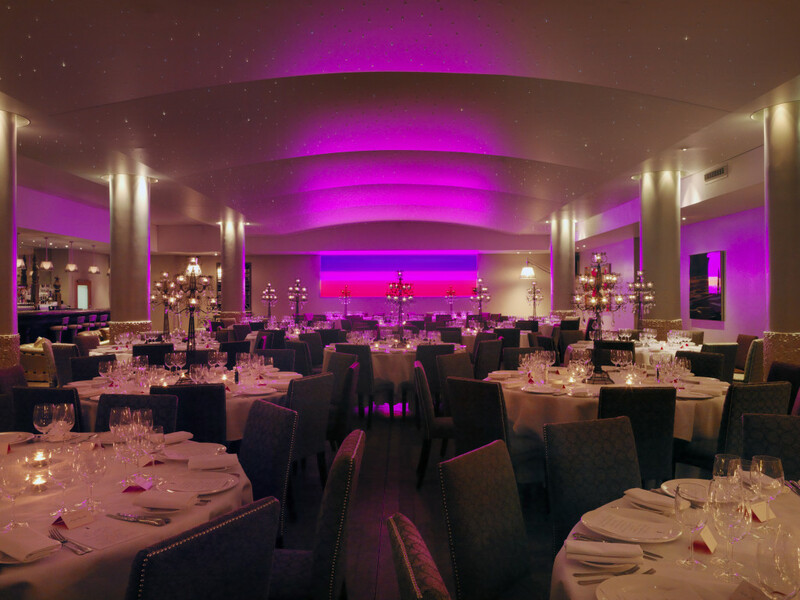 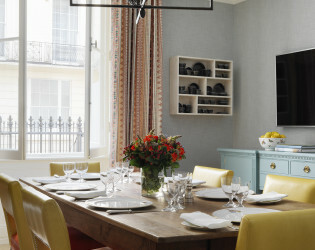 The Shooting Gallery is a vast, glamorous room and is ideal for lavish cocktail parties, launches or sumptuous private dining. 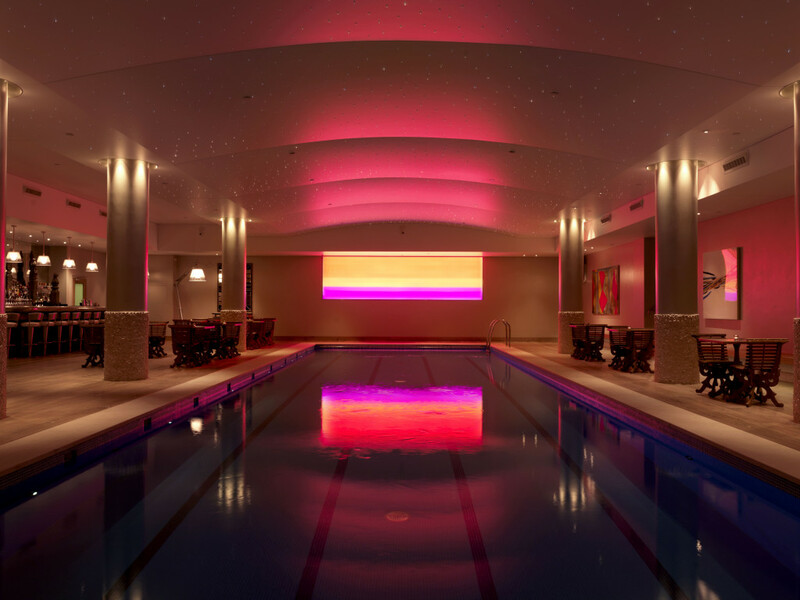 The vast swimming pool room is perfect for special one off parties such as film premieres, launches and other big events that require a spectacular venue in which to make a major ‘splash’. 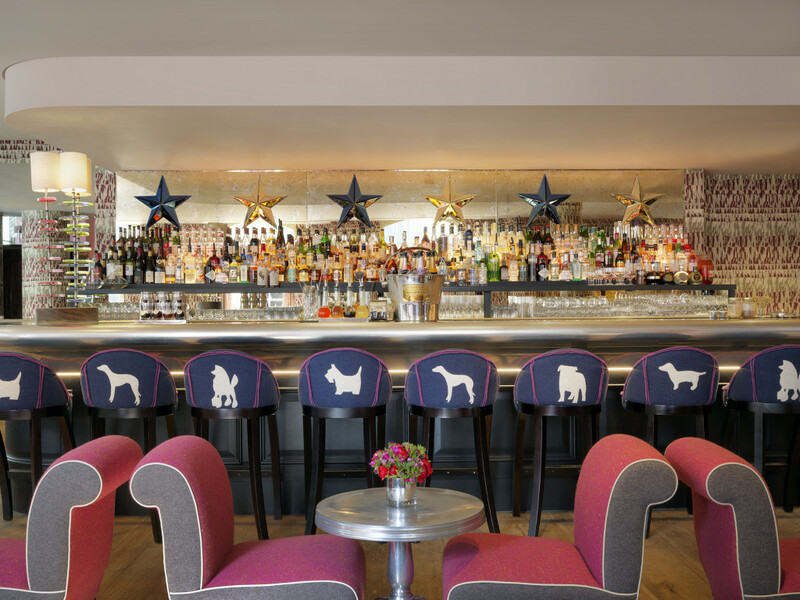 Brumus Restaurant and Bar is situated on the hotel’s ground floor adjacent to the lobby - its main street entrance on Haymarket. 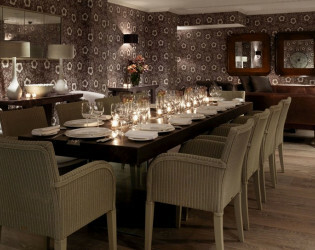 The restaurant seats 85 with a further 46 at the bar. The cuisine is modern English Brasserie style. Brumus Restaurant and Bar is situated on the hotel’s ground floor adjacent to the lobby - its main street entrance on Haymarket. 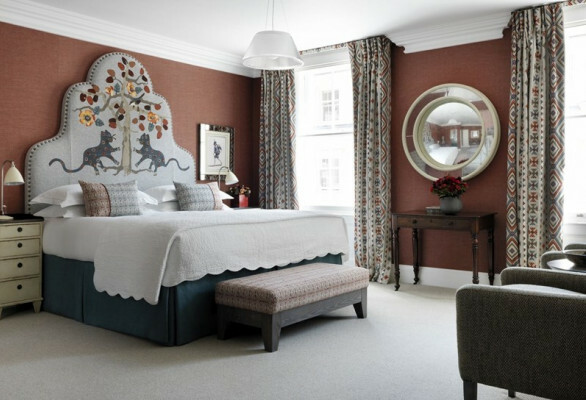 The Two Bedroom Suffolk Suites feature a separate drawing room, kitchen, 2 king size bedrooms with beds that can be twinned, 2 bathrooms, a dressing room and entrance hallway. 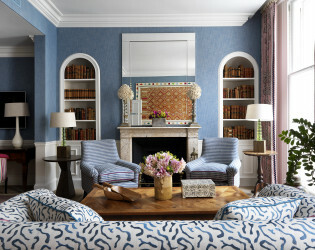 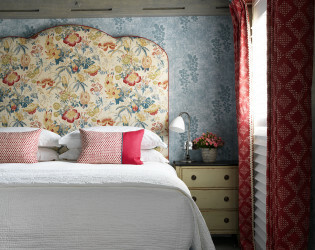 Fun pops of fabrics throughout the space. 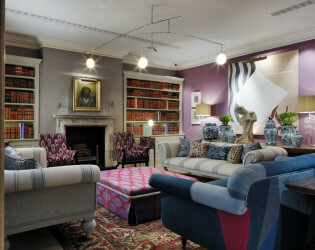 The boldly furnished Library is a comfortable spot for relaxing with a book or enjoying afternoon tea or drinks. The interiors are a remarkable combination that honours the building’s noble lineage whilst updating it with a contemporary English point of view.